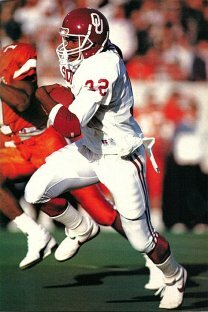 Bring up the name Bobby Proctor to long time OU football fans and you’ll hear words like intense, gritty, fierce, intimidating, and motivating. Ask Bobby Proctor to describe himself and he would tell you he’s blessed. From his playing days through his coaching career, Proctor experienced a series of life defining moments that he looks back on now with both fondness and wonder. Nothing came easy for the Arkansas native, but in the end he’s had an excellent ride. The first twist of fate that started him on the road to a life in college football occurred when he had completed junior college in Texas and was ready to continue his playing career at Wyoming, hundreds of miles from anywhere he’d ever been, because they had called and offered him a chance to play. Proctor stayed on at Arkansas and became a graduate assistant, working with the freshman team. One of his pupils there was none other than Barry Switzer. Before that relationship would become a working one, Proctor had to wander through the proverbial coaching desert, making stops at several beleaguered programs along the way. In the next 18 years he was an assistant at Tennessee (for Wyatt), Georgia, Mississippi State, and Vanderbilt – with a six week interruption to take a job at Memphis State before returning to Vanderbilt, where he was left jobless when the staff was removed in 1972. Just when it appeared that Proctor was headed to another downtrodden program, fate intervened again. Switzer had just taken over for Chuck Fairbanks and actually planned to offer the job to then-Nebraska assistant Warren Powers until the new Sooners head man found out his new team was going to be slapped with a major probation. Besides the step up in the caliber of athletes and competition, Proctor also encountered some else a coach of his upbringing wasn’t quite ready for. He soon realized that times were changing and he had to grudgingly change with them. Proctor prowled the sidelines with a ferocity that was ramped up even more during practices, which were open to the public and media during his coaching time. He struck fear in the hearts of first year players who would become his staunchest allies as they grew older. One of the players that drew Proctor’s wrath was future NFL defensive back Darrol Ray. After being shell shocked that day, Ray began to understand the method of Proctor’s madness. Proctor also became famous for a phrase that both he and Switzer would both shout at the top of their lungs when a defensive player had a chance to intercept a pass. You could hear “Oskie” over the noise of the crowd and see Proctor jumping up and down, imploring his team to turn things around. Just where did that phrase originate? “General (Bob) Neyland (legendary Tennessee coach) made up ‘Oskie’,” Proctor said. He was a great guy. When I was at Tennessee, he would come out and sit all day. He would say ‘Oskie wow wow’. 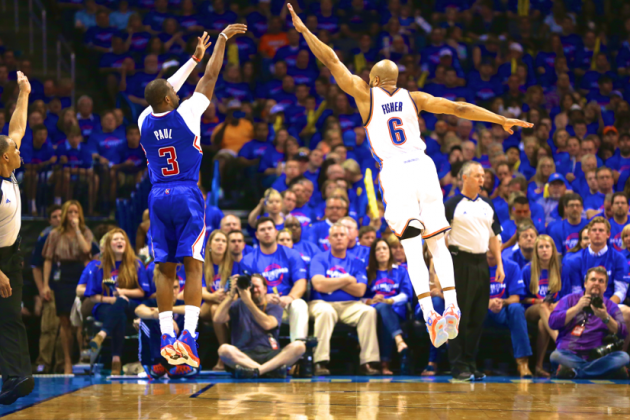 Go from defense to offense. When I was at Arkansas, we would call it Oskie, but when I went to Tennessee, I realized where it came from. After 19 years at OU and 37 years as a college football assistant, Proctor was unceremoniously dumped by Gary Gibbs in what led to legal action and a bitter split. One year from having tenure at OU, Proctor eventually received a legal settlement after suing the school and hard feelings persisted for a time. But his longtime friend Switzer helped him realize that once again, the sudden change of direction would turn out to be beneficial. These days, Proctor keeps a home in Norman but spends a great deal of time in his trailer at Soldier Creek on Lake Texoma, fishing until his heart’s content. When he looks back at the twists and turns his life took during his football career, Proctor still can’t help but shake his head in amazement. Another year of announcements for the College Football Hall of Fame has come and gone. And once again, Brian Bosworth has been snubbed. Whatever you think of The Boz and his acting career, his pro football career, his reported PED use and whatever other careers he has pursued, one fact remains. 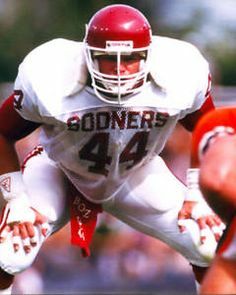 Brian Bosworth was a helluva college football player. From 1984-1986, Bosworth amassed 395 tackles, 169 unassisted, 27 for losses. He is the only collegian to ever win the Butkus Award twice, was a two-time consensus All-American and set the school record for tackles in a game with 22 against Miami when they meant something. 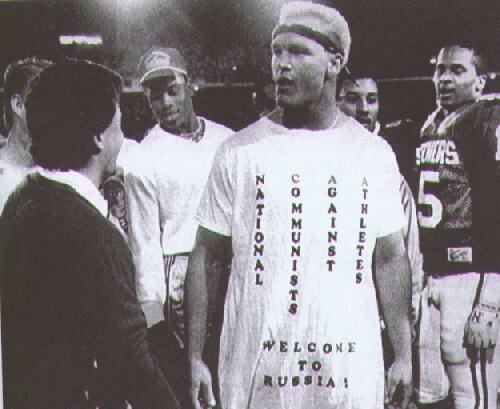 But his college career ended in infamy, first getting suspended for the Orange Bowl after testing positive for banned substances and then embarrassing his team and coach by wearing a T-Shirt that said the NCAA stood for National Communists Against Athletes. And for that, he is snubbed by the college hall in favor of people like Joe Hamilton (Georgia Tech quarterback 1996-99) who I don’t remember at all, John Sciarra (UCLA quarterback 1972-75), Leonard Smith (McNeese State cornerback 1979-82) and Wesley Walls(Ole Miss tight end 1985-88). Thirty years have passed since Bosworth’s “transgressions”. A pair of foolish incidents involving a 20-year old shouldn’t wipe out a career of excellence. Time to get over it, college football. 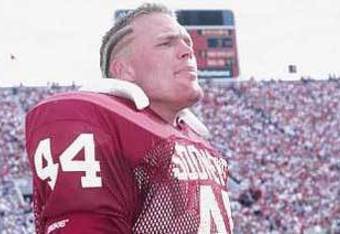 The Boz-and Brian Bosworth-belong in your hall of fame. May 15 marks the fifth anniversary of the death of one of the greatest human beings to ever walk the earth. 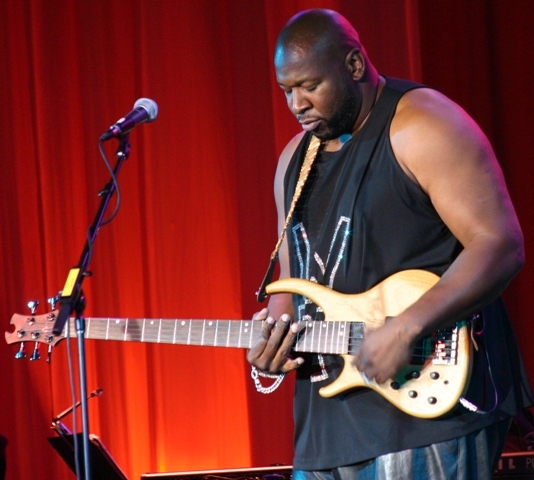 We lost Wayman Tisdale far too early at the age of 44, but his spirit and love for life stays with us today. I first met Wayman when he was an awkward teenager at Booker T. Washington High School, yet to develop all the gifts he had been granted. What a pleasure it was to be able to have a front row seat as he developed into one of the best basketball players in the history of college basketball and as he became one of the greatest ambassadors the state of Oklahoma could have. His musical talents, which actually were far more developed in his youth than his basketball skills, also became a primary part of his professional life. 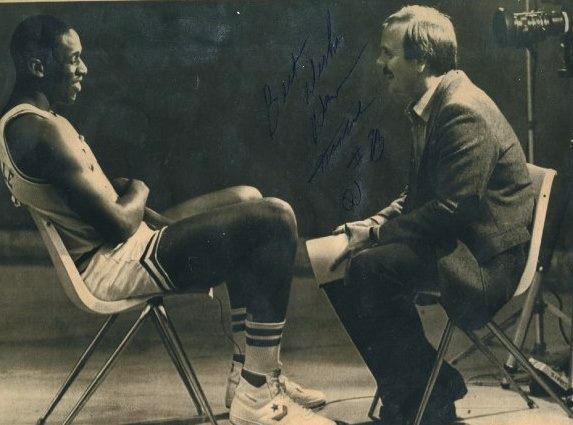 Talking to Wayman at OU media day in 1984. Although he didn’t have the type of NBA success he may have wanted, Wayman took another road and became a well-respected and much loved jazz musician, working with some of the top performers in the industry. His smile remained as broad as the ocean and his handshake as strong as his love for his family, his state and his music. The last time I had a chance to visit in depth with Wayman came just a year before his passing. He had survived cancer’s first attack and had not yet seen the relapse that was to come. As always, his spirit was infectious and his grace was immeasurable. 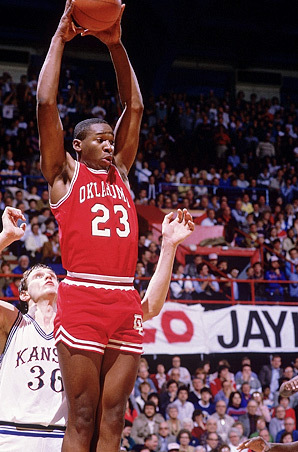 There haven’t been too many bumps in the road for Oklahoma basketball all-time scoring leader Wayman Tisdale. Since he was a freshman in high school, Tisdale has traveled a fairy tale path – from prep superstar at Tulsa Washington to three-time All-American at Oklahoma, the Olympic team, a decade long pro career and into a post-retirement career as a top-selling jazz musician. 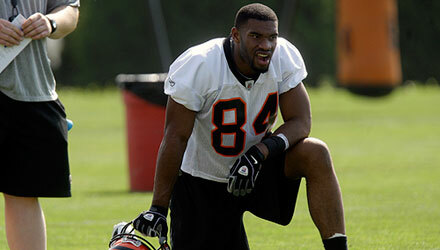 But this past spring, Tisdale experienced one of the few setbacks in his life. Last may, he fell down a flight of stairs in his home and while doctors were doing X-Rays to determine the damage to his knee, they found a cancerous cyst in his fibula. Following removal of the cyst, Tisdale had to cancel his music tour and start chemotherapy to treat the cancer. Once again, it appears Wonderful Wayman has come out on top. Tisdale just completed a Christmas Jazz Cruise in January to Aruba and Curacao and his latest CD, Way Up, debuted at #1 and spent 30 weeks in the top 10 on Billboard’s Contemporary Jazz charts. 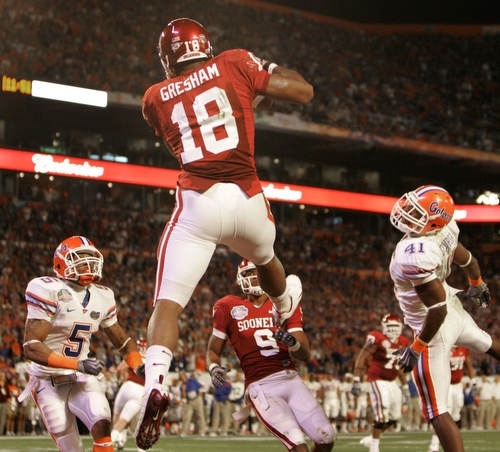 He still has the infectious smile, the outgoing personality and the easy going nature that made him a fan favorite in Norman while he was becoming the most decorated player in Sooner history and helping to build a budding dynasty for coach Billy Tubbs. 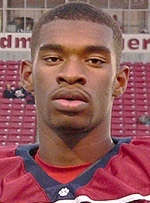 Tisdale was the first player to be named first team All-American as a freshman, sophomore and junior and he holds virtually all of the Oklahoma scoring records. It was instant stardom for Tisdale, who averaged 24.5 points as a freshman and 25.6 for his three year career. He led the Sooners within a game of the Final Four on two occasions and built the foundation for Tubbs’ teams that would later on make it to the NCAA championship game. 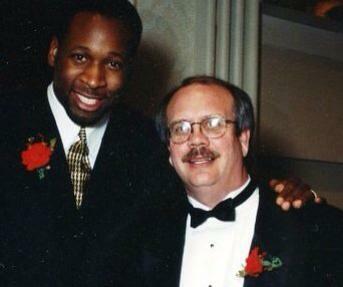 And he was the leading rebounder for the 1984 U.S. Olympic Gold Medal basketball team coached by Bob Knight. From there, Tisdale became the number two overall pick in the NBA draft behind Patrick Ewing and went on to a 12 year career with the Indiana Pacers, Sacramento Kings and Phoenix Suns that saw him average over 15 points a game and score almost 13,000 points. In the latter stages of his career, Tisdale released his first musical effort, Power Forward, and showed his teammates and the world that he was serious about a career in jazz after basketball. He had played the bass in his father’s Tulsa church as a youngster, but when he began to grow and basketball became his calling, Tisdale put music on the back burner. He still played from time to time, with many people considering it a hobby or a novelty. 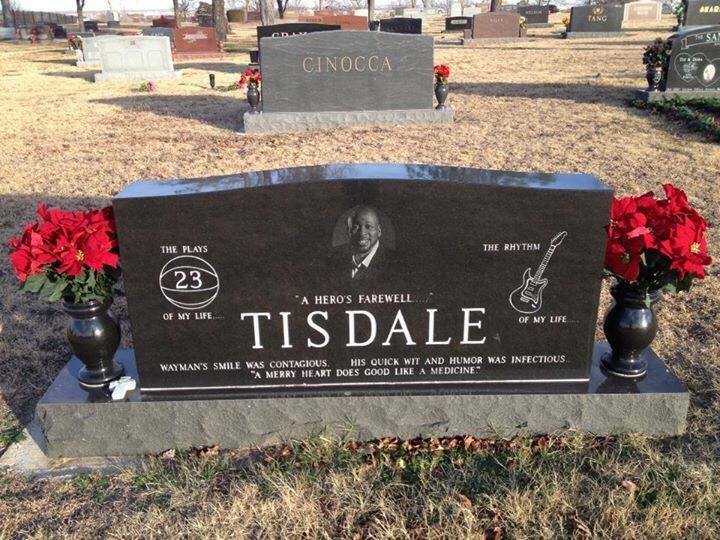 However, Tisdale was just as serious about music as he was about basketball. The big lefthander released two CDs that were critically acclaimed before he decided to retire after the 1997 season. Now, Tisdale was making the transition from basketball star that happened to play music to full-time musician. How was he perceived in his new world? Tisdale has released seven solo albums to date. In 2002, he was inducted into the Oklahoma Jazz Hall of Fame and received the Legacy Tribute Award. He was also nominated by the NAACP as “Outstanding Jazz Artist” for its 2004 Image Awards. He has also kept a connection to his home state, commuting from his farm home near Tulsa to his business interests in Los Angeles. Tisdale and his wife, Regina, have four children and his Tulsa home includes a stocked pond so he can indulge in another passion – fishing – while helping in the garden and horseback riding with his son. Outside of the home, Tisdale regularly takes Tae Bo with Billy Blanks, calling it his new addiction and the best workout since playing in the NBA. For a couple of years, Tisdale returned to OU to do color commentary on Sooner basketball television broadcasts, but his music success forced him to give up that job. He still takes a keen interest in the program. 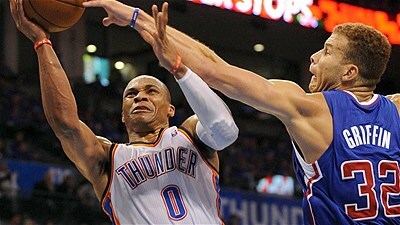 A big part of that foundation is freshman center Blake Griffin, who some are touting as the second coming of Tisdale. Even though Tisdale was the first OU player to have his number retired, he agreed to allow his number 23 to be reinstated so that Griffin could wear it this year. Griffin is off to a great start, but still has a long way to go to reach the numbers that Tisdale compiled, even though Tisdale hopes the 6-10 youngster can reach those heights. And while Tisdale is doing just fine in his latest career, he still would like to stay involved in the sport that gave him a chance to reach a national audience and he took the opportunity to lobby for yet another job. It’s hard to believe that it has been 25 years since the smiling youngster from Tulsa showed up on OU campus and put Sooner basketball on the map. Tisdale plans to keep moving and putting a smile on the face of everyone he touches. As far as he’s concerned, that’s just part of the plan. Sadly, there would be no storybook ending to Wayman’s story. Shortly after this interview, the cancer returned with a ferocity that required the amputation of his leg. Still, Wayman battled back through rehabilitation, but the signs were there that this was a battle he would not win. Eventually, he succumbed to the disease. His memory lives on with the Wayman Tisdale Award, given to the top NCAA freshman each year. And his wife Regina battles on, still cherishing her husband’s memory and struggling to deal with such an enormous void. We share her memories and we, too, still can’t believe that he’s gone. 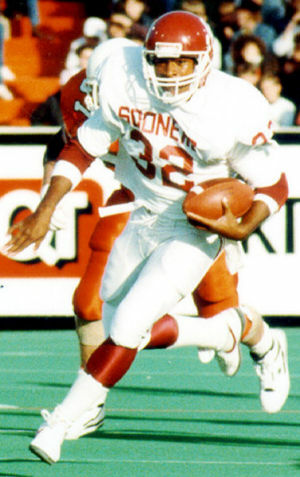 Of all the stories in Sooner running back history that begin “If only he had stayed healthy…” the saga of Mike Gaddis’ career is one that is still talked about by OU fans today. And in terms of the game of life, it’s one that has a happy ending. Coming out of Midwest City’s Carl Albert High School in 1987, Gaddis was one of the most highly recruited runners in the nation. At 6-0, 217, he was the prototypical tailback, having rushed for over 3,700 yards and 53 touchdowns in his prep career. Gaddis grew up as an OU fan and the Sooners had the inside track except for one thing – they ran the wishbone. So Gaddis jockeyed between his feelings for Oklahoma and the chance to be the next great tailback at USC. But Gaddis’ OU career almost ended before it began. Tiring in early fall workouts, doctors soon discovered what was characterized as a “blood disorder” after running a series of tests. In reality, Gaddis’ was experiencing kidney problems, even though the coaches and doctors didn’t tell him the whole story. The real story of Gaddis’ illness also wasn’t made known to the public. Rumors began circulating among the media and fans that Gaddis was just out of shape and not ready to play and that the health issue was a smokescreen to take the heat off of such a highly recruited player. 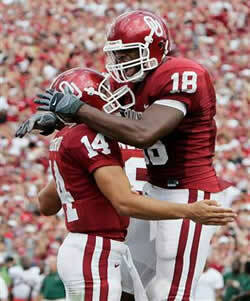 Many doubted Gaddis would ever contribute at OU. It took a while before he proved them wrong. Cleared to play in 1988, Gaddis started slowly before breaking into the lineup midway through the season. He had his official coming out party in the annual Bedlam Game in Stillwater, matching OSU Heisman Trophy winner Barry Sanders stride for stride as the Sooners took a 31-28 victory. Gaddis ran for 213 yards that day, Sanders 215. It was to be the first of three great games Gaddis would have against the Cowboys, a team that he wanted to punish each time he went on the field. Despite the flashes of brilliance, there were times Gaddis had to come out of the game for a breather, something he thought was normal, but something that was actually a product of his condition. He found that he couldn’t be the kind of workhorse back that some expected him to be. Coaches and fans were excited about Gaddis finally reaching his potential after the sensational finish to the 1988 season, but things were about to be turned upside down in the off season. Switzer was forced to step down and the Sooners were suddenly on NCAA probation that kept them off of television. 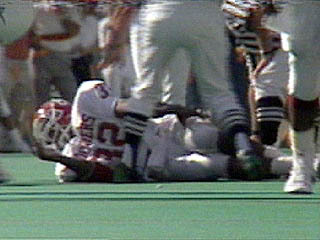 Several players exited in the aftermath and the start of the 1989 season was in turmoil. Following a 6-3 loss at Arizona, it was up to Gaddis to start turning things around. He ran for more than a hundred yards against Kansas in a conference opening victory, then destroyed Oklahoma State with a 274-yard performance, the fourth-best in Sooner history. Up next was Texas and Gaddis was ready to start thinking about his Heisman Trophy chances as the Sooners prepared for the annual Red River rivalry. Sports Illustrated had written a story about him being the best back that no one had seen because OU was banned from television, and he was geared up to make his mark against the Longhorns. Gaddis had more than 130 yards at halftime but what started out as potentially one of the best running days by any Sooner against the Longhorns turned into a nightmare early in the second half. His season ended with 829 yards on just 110 carries – a 7.5 per carry average – in just less than six games. Gaddis had watched his Heisman dreams evaporate and even though he began rehabilitating, he doubted in his own mind if he could ever come close to being the back he had been. He could not even return to the field for a year and a half, and as the 1991 season arrived, he was listed as the fourth team tailback. That might have been the last we heard of Mike Gaddis if not for some comments made by head coach Gary Gibbs. Still third-team when the season started, Gaddis finally got his last chance when the two backs ahead of him were injured in the conference opener at Iowa State. 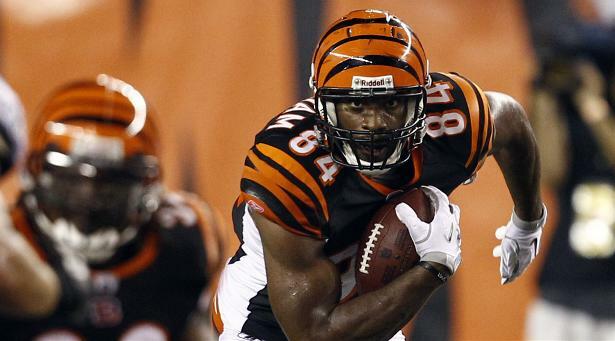 He came off the bench to rush for over 100 yards and would up regaining his starting spot down the stretch. Gaddis reeled off a 217 yard performance against Missouri and tore up his old favorite, Oklahoma State, with his third 200 yard game against them., running for 203 yards on a career-high 35 carries. He finished the year with more than 1,300 yards and 17 touchdowns, turning down a chance for a medical hardship year to go to the NFL. A sixth-round pick of the Minnesota Vikings, Gaddis once again saw misfortune strike when he blew out his other knee after securing a spot on the team. He tried to come back with other NFL teams, but concerns about his kidneys rather than his knees made teams leery of giving him a shot. It was about the same time that the possibility of kidney failure started to become reality. 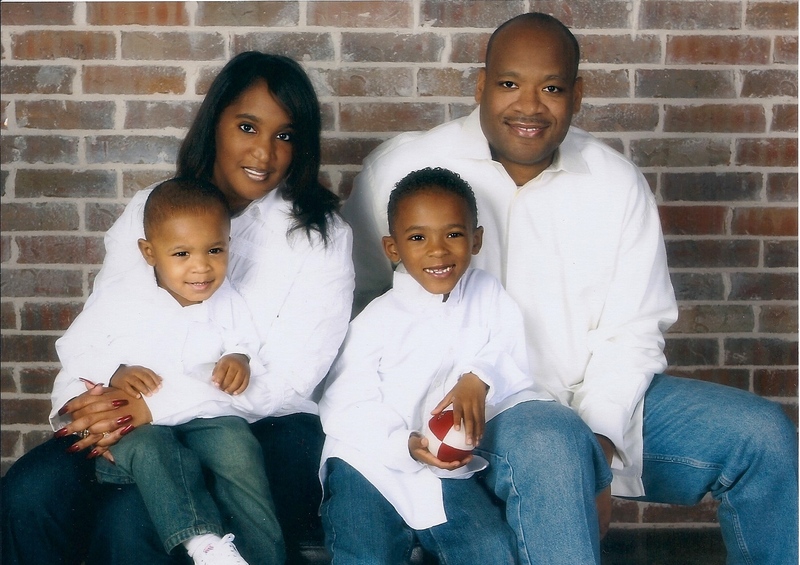 After testing all four of Gaddis’ brothers for a match, doctors selected his brother Brent as the ideal candidate to donate a kidney. Brent, who had been a basketball player at Southern Nazarene University, spent 10 months in psychological and physical evaluation, while Mike was on dialysis, before the two went to Baylor Medical Center in Dallas for the transplant operation. Gaddis settled back in Oklahoma City, where he has operated an insurance agency for more than 15 years. He has been married to his high school sweetheart, Andrea, for 20 years and they have two boys, Lunden and Roman . Gaddis keeps close tabs on the Sooner program and is especially happy for two of his old teammates who are now on college coaches. For Gaddis, the thought of what might have been is something that he’s learned to live with through the years. 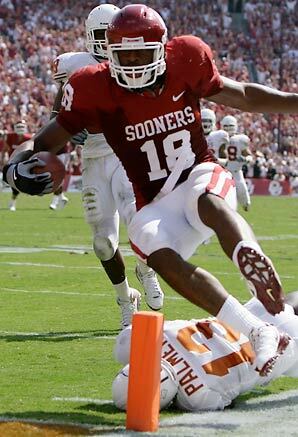 Despite the injuries and illness, he still managed to carve out a spot among the top ten all-time rushers at OU in what amount to about a season and a half worth of action. “Just growing up an Oklahoma fan and then having an opportunity to go play at that school that you grew up worshipping and listening to on the radio every Saturday before every game was on TV,” said Gaddis. “It was my lifelong dream to go there, but not just go there but actually be able to be a good player there. My only regret was, there is no way I could know how my career might have turned out. I thought I could have gotten a couple of Heismans, honestly. When I look back, I never really started a full season. 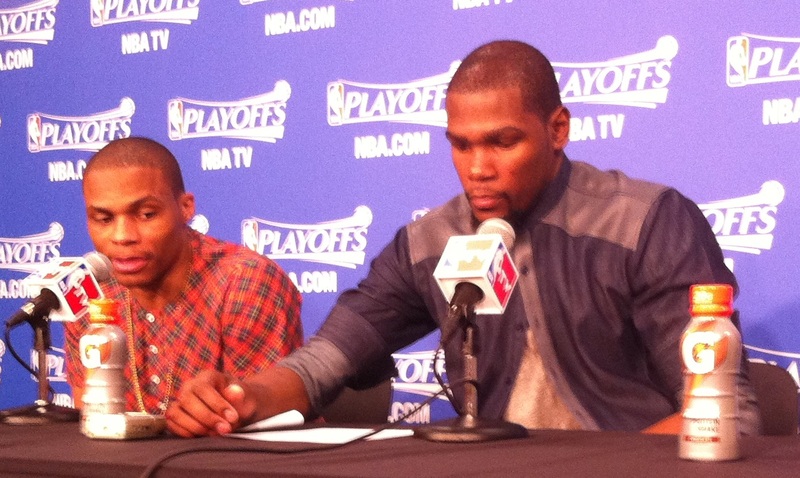 The world was in a uproar over a headline in the Daily Oklahoman from Thursday morning that dubbed Kevin Durant as “Mr. Unreliable”. 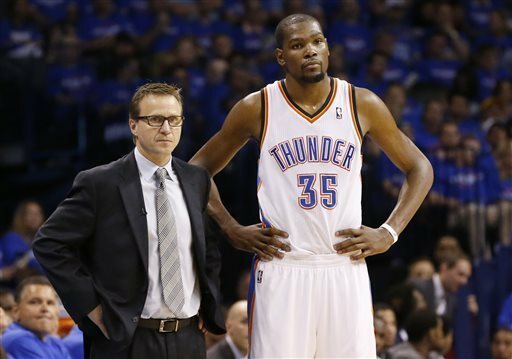 It was perched above a column by Berry Tramel that opined about the Oklahoma City Thunder star’s struggles in the playoff. Newspaper columnists and reporters don’t write the headlines – there’s a whole separate crew responsible for that – but they do suffer the wrath of those headlines from the reading and non-reading public. That headline went through a three-step approval process and no one along that line, including the top newspaper brass, objected to the two words that rocked the state and the sports nation. I will have to admit I was surprised to see what was screaming from the top of the Thunder Extra, given that the local paper is usually one of the biggest cheerleaders on the planet and never courts controversy unless it occasionally deals with who is feeding who fried chicken and whether someone is qualified to be a man at the age of 40. But despite my raised eyebrows, I didn’t see a problem with the headline although I knew the great majority would. In fact, if it had included a question mark at the end, it would have probably weathered the thunderstorm of criticism that followed. What I did have a problem with was the apology from Oklahoman Sports Editor Mike Sherman. Oh, I don’t have a problem with Mike. I have known him since his days as a cub reporter, have respect for his honesty and dedication, and I even sat next to him at Tuesday’s Thunder-Grizzlies game in OKC. In fact, our kids will probably be attending the same school this fall. However, one thing you never, ever, ever do in the world of journalism is apologize for a stand you took on a particular story of theme. What it implies is that you don’t have the courage of conviction to stand behind what you believe. And the apology likely caused the Oklahoman more embarrassment as the day continued than the original headline. Stick to your guns, take your medicine and live to fight another day. In fact, given Durant’s public response, which was that it was no big deal, and his on court response, which was to throw up a big FU in busting out to a 14 point first quarter en route to a 36 point explosion, the Oklahoman could have taken some credit for his turnaround in the series with a Friday headline saying “I Guess We Were Wrong” (and so was I). While the newspaper will probably have to scuttle a pending special Thunder edition they were trying to sell in the upcoming weeks due to adverse response to the headline from irate advertisers, at least they were relevant again for a day. Just remember next time, don’t say it if you don’t mean it. And own it once you do say it.